According to recent statistics from the World Health Organization, there are currently 36m people living with AIDS/HIV worldwide. The disease is having truly devastating effects in many countries. 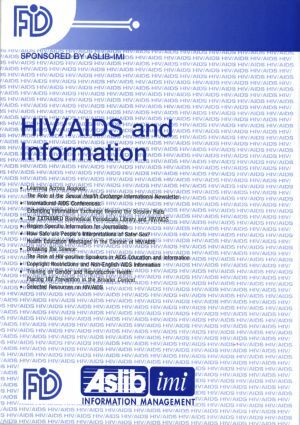 With this in view, FID has brought together this important collection of papers with contributions by health workers, HIV/AIDS activists, sociologists, policy analysts and journalists from around the world.